James Scott is a seasoned entrepreneur, real estate and investor relations professional with a proven track record of securing capital financing for new business development in various industry verticals. His profound sense and timing and identifying unmet market needs co-created the Mixed Gender Basketball League, which was later developed into the Global Mixed Gender Basketball League. He is a business leader and pacesetter conceptualizing new ideas and developing market-ready individual, corporate and governmental business models. James started his business ventures in the area of real estate, construction and property management, overseeing multi-million dollar luxury condo budgets as early as the mid 1990’s. His agility in financial transformations and product management, enable him to dismember venture components and ensure maximum capitalization and revenues for the investor. Percy Miller is the President of Global Mixed Gender Basketball League and has taken GMGB to another level with his marketing genius and strategic planning for Equality. His vision is to have every GMGB team ‘balling for a cause’ giving back to the communities in their cities that their teams reside. Miller is also CEO of P. Miller Enterprises has sold over 100 million records and is founder of the iconic No Limit Records. The New Orleans born and bred self-made multi-millionaire has appeared in numerous financial publications, including Forbes. An avid basketball player, he has played professionally for the NBA Charlotte Hornets and the Toronto Raptors. Moreover, Master P has played with the CBA Fort Wayne Fury and the ABA’s Las Vegas Rattlers. Miller is a philanthropist, passionate about giving back to underprivileged kids, helping the next generation of youth to understand the importance of education. Egypt is no novice to the entertainment industry. Early in her career she was signed to A&M Records and Whitney Houston’s label Landlord Records as a rap artist, writer, composer and arranger, Landing on the Billboard Charts Top 100 singles. She is known and respected throughout the industry as a gifted lyricist with a work ethic that is contagious. She’s worked with some of the world’s most prolific talents. Her work history, stage performances and/or collaborations looks something like this, Jay-Z, Whitney Houston, Bobby Brown, Wyclef Jean, Faith Evans, Monica, Usher, The Wu Tang Clan, Naughty by Nature, Aaron Neville, DMC of RUN DMC Just to name a few. Egypt is the “Editor in Chief” of the strongly acclaimed, internet, software and former paper back publication, “The Movement Magazine REMIXED.” Interviewed the likes of Singer/Actor/Author – Tyrese, Comedian/Actor – Kevin Hart, Actor Larenz Tate, CEO of TV One – Cathy Hughes, Senator – Cory Booker, Basketball Legend – Shaquille O’Neal, Legendary Entertainer – Sean Puffy Combs, Rapper/Actor – T.I. and his wife Tiny, Legendary author – ZANE, Creator of Love & Hip Hop Franchise – Mona Scott-Young, Actor Lamman Rucker, Legendary group – Kool and the Gang, Former Editor of Essence Magazine – Cathy Hughes, Activist – Rev. Al Sharpton, Host of the Hit TV Show The REAL – Adrienne Bailon, Talk Show Host – Roland Martin just to name a few. It was an honor for the Movement Magazine REMIXED to be named the premier magazine for the (NIFF) Newark International Film Festival due to the fact that Egypt was born and raised in Newark, New Jersey. Egypt has also Co-Executive Produced a TV show Pilot called What Women Want Primetime with other half of the QueenTeam Adrienne Harris as well as Produced a radio show with the same title. Egypt and Adrienne are the Founders of The www.QueenTeamMedia.com Which houses the QueenTeam Wrap Up Show this online award show gives awards to pioneers of all types of industry individuals. It also cover events and everything current that happen in the entertainment industry as well as different industries around the globe. To date, Ms. Young is creating a magazine exclusively for the Global Mixed Gender Basketball League. Max Beaulieu is the Principal and Managing Attorney of the Beaulieu Law Firm. Max has an extensive career in all aspects of the entertainment and sports industry. From handling the legal and management tasks of entertainment events, to brand management for fashion brands, to legal counsel of startup sports league – Max has have become one of the most diverse sports and entertainment attorneys in the country. ​Born in Brooklyn and raised in Long Island, Max graduated from Vermont Law School where he studied sports law and played on the rugby team. Max is currently admitted to the New York and New Jersey State Bar and specializes in Sports Law and Corporate Transactions. Prior to establishing the Beaulieu Law Firm, Max worked with some of the major sports leagues and some of the top Law Firms in New York City with a focus on Corporate and Sports Law. ​While with the Brooklyn Nets, Max assisted in negotiating multi-million dollar sponsorship transactions on behalf of the Nets with the YES Network, Vitamin Water and Gatorade. Max was also involved in Player Contract Negotiations and was intimately involved with working on collective bargaining compliance for the NBA franchise. Max had the unique opportunity to be at the forefront of handling legal issues associated with running a sports franchise including the Nets transition from New Jersey to Brooklyn. ​Max was also instrumental in developing the legal infrastructure for the New York Rhinos of the National Pro Grid League, an emerging functional fitness league, as well as advising various athletes on a multitude of business transactions. Max was also instrumental on the international front in working on securing international athletes for the league and handling their immigration issues prior to joining competition. Max was then offered an opportunity to work with a corporate law firm where he focused on banking and finance. Max enjoys working in the Sports Industry as one of his core passions is health and wellness. Hailing from New Jersey, Ciara Ross has quietly emerged as one of media’s brightest stars. As Lead Correspondent for The Movement Magazine, she has interviewed some of the biggest names in the entertainment industry, artists, authors and activists. She has also covered civil rights rallies and numerous entertainment red carpet events. She has worked on shows including “The Quiet Storm with Lenny Green on 107.5 FM & The Reality Check Doctor with Celebrity Relationship Expert Dr. Ivan Young on KYND AM as well as Digital radio. Not only is she Media’s New Beauty, she has also graced countless runway scenes as a Fashion Model and has been featured on Time Square New York City Billboards. Passionate about Model Advocacy, she founded the Tenacity model Modeling & Etiquette Summit. Currently she is the Press Secretary for Global Mixed Gender Basketball League…the world’s 1st professional Co-ed basketball League with CEO James Scott & President Percy “Master P” Miller. She’s got the whole purpose driven, queen ambition, go getter change the world type of vibe. She leaves her Tenacity wherever she goes. Ash Samuels has a synonymous combination of work experience in marketing/promotion, brand development and event coordination. With over 10 years of experience she has acquired & cultivated an extensive portfolio and has creatively directed, devised and activated brand positioning and marketing solutions for various public figures and brands. Ash has a passion to see the vision unfold and has worked with nationally known brands spanning across the country. She has coordinated and managed project types in various industries including, but not limited to sports, entertainment, social, business and community. Paul King has been in the sales and marketing industry for over 20 years. 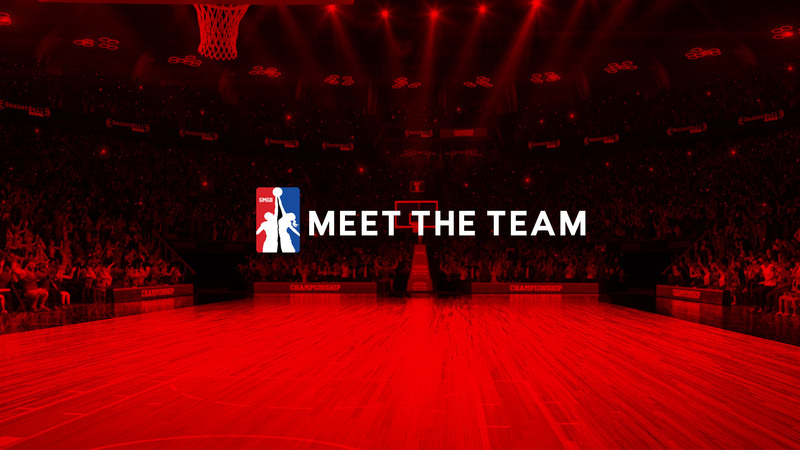 Before joining MGBA in 2013, King was a consultant for the United States Basketball Cup Championship where he developed business strategies for expansion and managed corporate promotions and IT consultant teams. His specialization in sports management, facility negotiations and tournament organization has been instrumental in him founding PEK Impact, LLC. He has worked with various national sports organizations and corporate engagements, including Enterprise Rent-a-Car and Pitney Bowes, where his marketing expertise created service models which became prototypes for national distribution and engagement. King served as the National Director of Operations for the Mixed Gender Basketball Association, Inc. (MGBA), and was instrumental in building the foundational structure of the league, recruiting high profile investors and partners, as well creating comprehensive marketing and advertising campaigns. As owner of King Consulting Solutions, LLC, he continues to innovate and create strategic solutions to enhance marketing share and increase company’s sales and profitability. William holds a Bachelor of Science degree in Computer Science from Seton Hall University, Master’s in Business Administration (MBA), and a Master’s of Science in Information Management (MSIM) from Aspen University. TC Thompkins is a renowned and seasoned Music Executive. Founder and owner of Thompkins Marketing, Thompkins’ Media Group, and Plum Jam Music, BMI. His career began in 1972 at Stax Records. He has forty-two years of experience in the in the music industry. TC served as Vice President, Epic Records and worked with such notable Labels as: Philly International, Tabu, Teaneck Records, Love Unlimited (Berry White), Portrait (Sade) and George Clinton’s Label. He joined GR productions as COO and served as liaison to MCA, Motown and Virgin Records. Vice President of Quality Records. Regional Director: Stax, ABC, Capitol, and CBS. Worked with music icons as Quincy Jones and Clarence Avant. Served as consultant to: Stereo Fame (J Dash- platinum single “WOP”), Red Star (George Tandy,” March “, Top 10 UAC single). His career has been featured on all major networks, NBC, FOX, CBS TV and Radio, and BET. Articles has appeared in BRE, Houston Business Journal, WHO’S WHO IN BLACK AMERICA, A KING SIZE VIEW AND BILL BOARD. Interviews with “Great Day Houston” Local affiliate of CBS as a talent judge. Served on music panels for Houston Community College with Atty. Ricky Anderson. Talent Judge for a Local Morning show, “Great Day Houston”. His awards include dozens of platinum and gold records from artist such as Michael Jackson’s “THRILLER” (Largest selling cd in music history) and (“OFF THE WALL”). Sade’s introductory album to America, “DIAMOND LIFE”, Luther Van Dross, (NEVER TO MUCH), (ALWAYS, FOREVER, FOR LOVE), and (BUSY BODY) Chaka Khan (SWEET THING) Isley Brothers, (“IN BETWEEN THE SHEETS”), Mtume’ s (”JUICY FRUIT)”, MAZE, (“MAZE”). Tina Marie’s first solo (“STAR CHILD”). Teddy Pendergrass, (“TEDDY PENDERGRASS”) Petty Labelle, (“IF ONLY YOU KNEW”) Guy (“GUY AND THE NEW JACK SWING”). George Duke The Clash, Heat Wave, The O’Jays, Isaac Hayes, Bill Withers, The Dramatics, Natalie Cole (Inseparable), Attended Bishop College: Business and Management, CBS School of Management: Administration and Business, US MILITARY: BUSINESS ADMINISTRATION, TC’S MILiTARY EXPERIENCE’S INCLUDE: 3 Years Military service in the army. Served with The First, Air Calvary in Vietnam. Steven Amil Mitchell has been involved with the concept of Co-Ed basketball since its inception in 2013. He is one of the original participants on the new league. Mitchell has over 37 years of basketball experience including 23-years as a coach and 18-years of officiating. Mitchell attributes his basketball acumen to the tutelage of his past coaches and mentors. Cleo Hill, Winston Salem State University All American and John McClendon, legendary coach and former student of Dr. James A. Naismith, inventor of the game of basketball are at the top of his list of coaches and mentors. These legends coaches taught Mitchell the nuances of the game and fueled his passion for teaching that continues today. During his 12-year collegiate coaching career, Mitchell coached men and women. Mitchell women’s teams compiled a 97-57 record with 3 trips to the Region XIX semifinals and were always in the top 5 nationally in field goal shooting percentage. A 1977 graduate of Essex County Community College. After earning his associates degree from ECC, Mitchell attended Chicago State. Later, Mitchell returned to ECC and spent 4 years as an assistant coach for the men’s basketball team. During his coaching tenure, Mitchell has helped over 150 student athletes earn college scholarships. He continues to mentor them well beyond their time as student-athletes. The founders of the GMGB basketball league have relied on Mitchell to create the rules which will allow women and men to compete competitively. These rules will govern play while adding to the excitement and fan appeal of the GMGB model. In addition to his involvement in basketball, Mitchell has worked as a Sr. Information Technology Analyst for Deloitte & Touche since 1998. Mitchell leads IT support in the Jersey City office of Deloitte. Deloitte is one of the Big-4 accounting firms in the United States and one of the most prestigious professional services firms in the world. Kym Hampton has lived one dream through basketball and continues to pursue others. Having completed a 15 year professional basketball career not only in the WNBA, but Spain, Italy, France and Japan, the transition should be a natural one. The multi-talented Ms. Hampton currently works in community relations for WNBA team, the New York Liberty. She also serves as an ambassador for the WNBA, NBA and New York Knicks. A high school basketball and track star from Louisville Kentucky, Ms. Hampton was inducted into the Dawahares KHSAA Hall of Fame in 2005. She attended Arizona State University on a full athletic scholarship and earned a Bachelor of Arts degree. Kym will go down as one of the most decorated players to ever wear a Sun Devil jersey. To date, she remains the all-time leading scorer and rebounder (male or female) in ASU history. During Kym’s 12th season in Europe, the WNBA was formed. Ms. Hampton was the 4th pick in the Elite first round draft, by the New York Liberty. Kym was voted starting center in the WNBA’s inaugural All-Star game. During Kym’s three year tenure, she started every game for the Liberty until a knee injury curtailed her career. Ms. Hampton has also remained close to the sport as a Color Analyst and Motivational Speaker. She has shared her inspirational message with children, adolescents as well as adults. Her mission is to show others (especially girls and youth) the powerful effect sports can have on one’s life. Since leaving the sport as a player, Ms. Hampton has augmented her motivational speaking career by working as professional plus model, actress and singer. She currently resides in the New York metropolitan area.